ZSISKA chain round color spectrum. Adjustable necklace with 6 round resin beads. In the sparkling colors, pink, orange, red, green, blue, purple. 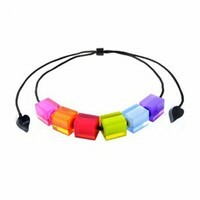 ZSISKA design chain colorful cubes spectrum. Adjustable necklace with 6 square resin beads. In the sparkling colors, pink, orange, red, green, blue, purple. 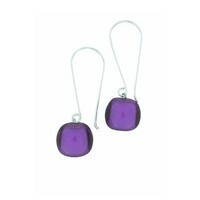 This Bolas earrings by ZSISKA Design have beads with a 16 mm diameter. This adjustable chain ZSISKA Design is to contribute to max. 95cm, the slide. of the 5 beads is 30mm. This adjustable chain ZSISKA Design is to contribute to max. 90cm, the slide. of the beads is 30mm. The back side of the beads is black. 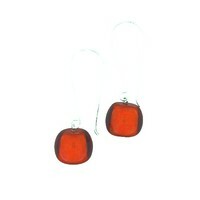 This Zsiska design earrings have a long model hook. 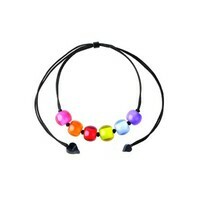 This has a nice round red resin bead, matching the spectrum color combination. 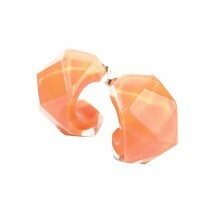 This Zsiska design earrings have a long model hook. 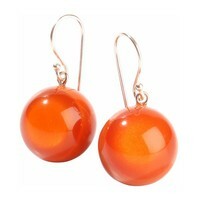 This has a nice round orange resin bead, matching the spectrum color combination. ZSISKA adjustable chain Pendant with Chain 50mm round flat. 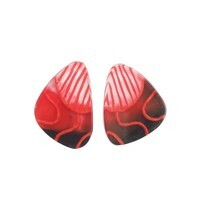 made of resin in red, black, aqua and yellow. These Zsiska design earrings have a long model hook. 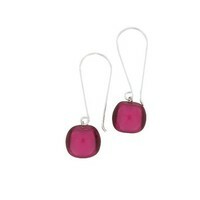 This is a beautiful synthetic resin round Pink bead, matching the spectrum color combination. 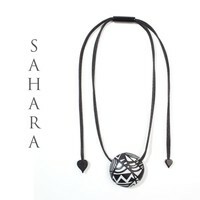 Zsiska adjustable necklace with 6 beads of 4cm. made of synthetic resin in blue. This Zsiska design earrings have a long model hook. This has a nice round light blue resin bead, matching the spectrum color combination. 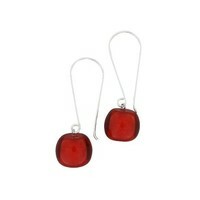 This Zsiska design earrings have a long model hook. This has a nice round green resin bead, matching the spectrum color combination. These handmade earrings from ZSISKA Design are 19mm, triangular and flat. These earrings by ZSISKA Design are hand painted bead earrings on a slide. 25mm. The earring goes through the ear with a plug. Zsiska vOorhangers Sunflower handmade from synthetic resin. 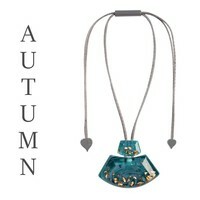 Zsiska adjustable necklace with Pendant Sunflower handmade from synthetic resin. 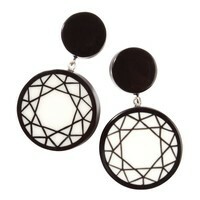 These earrings from ZSISKA Design are hemisphere dimension is 18x28mm. The earring goes through the ear with a plug. 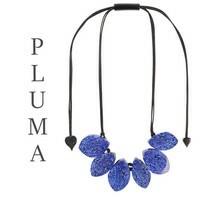 Zsiska adjustable necklace with 5 beads in the shapes of flowers handmade from synthetic resin. 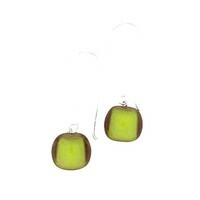 This Zsiska design earrings have a long model hook. This has a nice round purple resin bead, matching the spectrum color combination. 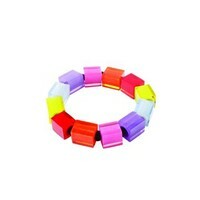 Zsiska bracelet Colourful Cubes spectrum. Bracelet with square resin beads. In the sparkling colors, pink, orange, red, green, blue, purple. 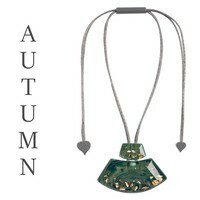 Zsiska adjustable necklace with 4 beads in the shapes of flowers handmade from synthetic resin.